FAS Technologies Inc. Model FAS-1 High Purity Fluid Dispense System . 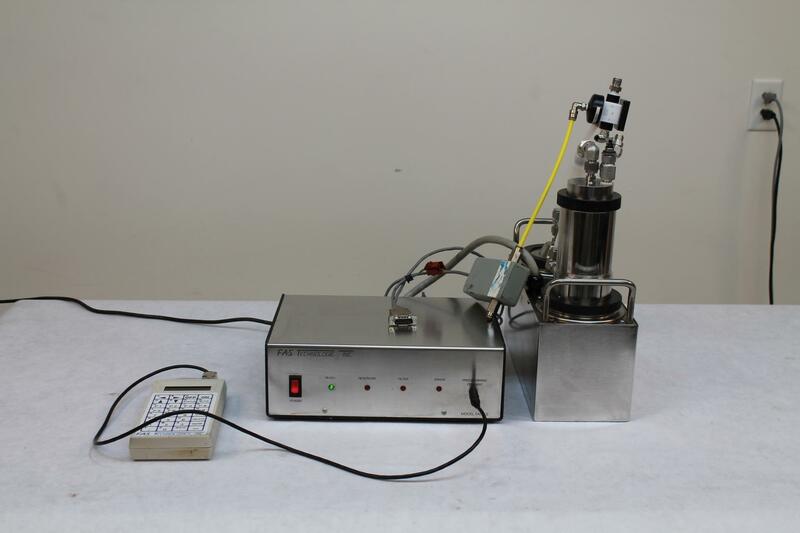 New Life Scientific, Inc.
FAS Technologies Inc. Model FAS-1 High Purity Fluid Dispense System w/ Power Supply and Pendant This unit powers on and seems to run fine. The lab said the pump was plugged in and working before it was pulled. However we cannot test this item extensively due to our limited testing abilities. Please contact us with any questions or concerns regarding this unit. This item came from Cobham Defense Electronics, a high end electronics company that recently shut down their facility.